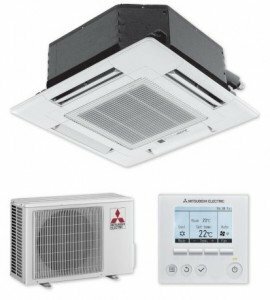 Mitsubishi recessed ceiling cassette unites offer a wide airflow pattern for better air distribution in a less obstructive style. These 2ft. x 2ft. 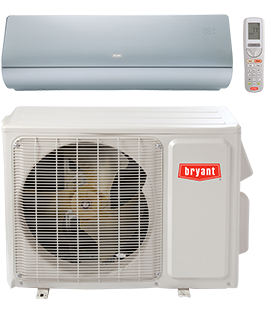 units provide ENERGY STAR® rated performance in 1:1 application and can be installed in a hard ceiling (with allowed access panel for servicing) or 2ft. x 2ft. drop ceiling. Piping lengths up to 65 ft.
Line Length Up to 65 ft.